Aisha Buhari to visit President Buhari in London – Royal Times of Nigeria. Wife of President Buhari, Aisha Buhari, is on her way to London to visit her husband, President Buhari, who is currently on medical leave there. 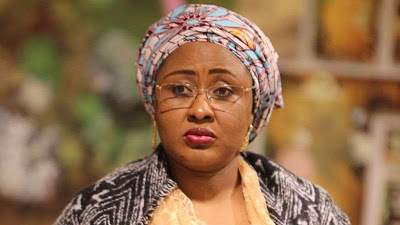 According to a statement issued by the director of information, office of the wife of the president, Suleiman Haruna today, Mrs Buhari would stop over at Addis Ababa, Ethiopia, en route London.